you can ensure that the community's operating needs are met in the future. All PACE funds are invested and prudently managed for maximum yield. WHAT IS A PERPETUAL ANNUAL CAMPAIGN ENDOWMENT (PACE)? 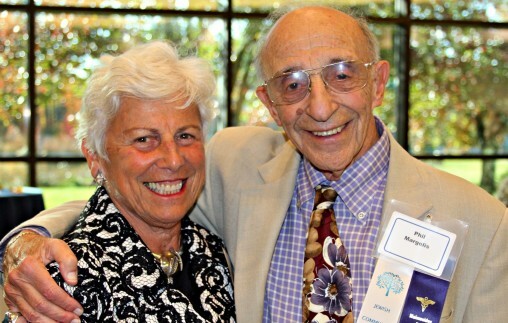 A PACE is a permanent fund of the Jewish Community Foundation of Greater Ann Arbor established in your name. This restricted fund, created to endow your gift to the Federation Annual Campaign, allows your lifelong investment in your community to continue, providing help when and where it is needed­ indefinitely. A PACE fund is not intended to substitute for any part of an annual gift. It is your lasting legacy for the future. If you make this gift during your lifetime, you receive a charitable income tax deduction. There are a variety of ways to create endowments that do not have to be funded during your lifetime and still provide you with considerable tax benefits. In addition to local recognition, the National Star of David Society celebrates your endowment of your annual campaign gift with inclusion of your name, by permission, on a national honor roll--a public affirmation of your Jewish values and philanthropic commitment and a powerful example to your children, your heirs and your community. WHAT IS A LION OF JUDAH ENDOWMENT (LOJE)? The Jewish Federations of North America (JFNA) and United Jewish Communities alone cannot secure the future of the Jewish community. Your LOJE fund can. The Lion of Judah Endowment, LOJE, is the endowment component of the Lion of Judah Major Gifts program. It is a powerful statement of your commitment to tzedakh, providing a legacy for family and community. The JFNA National Women's Constituency, inspired by 3,000 years of Jewish tradition and dedicated to the survival and strength of Israel and the Jewish people, has forged a new role for women in the Jewish community. As women in general increase their share of authority over America's wealth, Jewish women in particular are setting the standards for creative philanthropic giving and commitment to future generations. In the forefront are Women's Constituency Lion of Judah donors who have established a Lion of Judah Endowment to perpetuate their annual campaign gift. Every woman who contributes $5,000 or more to her community's annual campaign can establish a LOJE by establishing a fund of $100,000 or more in her name, ensuring perpetuation of her Lion of Judah level annual campaign gift. A LOJE fund is not intended to substitute for any part of an annual gift. It is your lasting legacy for the future. If you make this gift during your lifetime, you receive a charitable income tax deducation. There are a variety of ways to create endowments that do not have to be funded during your lifetime and still provide you with considerable tax benefits. In addition to recognition within your community, your endowment of your annual campaign gift is recognized with the addition of the prestigious Or L'Atid flame or light unto the future, added to your Lion of Judah pin. Your Lion of Judah pin is an internationally recognized symbol of your dedication to the Jewish people. A public affirmation of your Jewish values and philanthropic commitment and a powerful example to your children, your heirs and your community.